The port of Lavrion is the main gateway from Athens to the islands of Kea (Tzia) and Kythnos. Lavrion is located 30km away from Athens city centre, along the north-eastern seaside of Attica. Lavrion is the third largest passenger port of Athens, serving the quite busy ferry routes to Kea and Kythnos. As mentioned before, Lavrion is connecting Athens to the islands of Kea and Kythnos, with several daily ferries. There are also some ferries per week (not daily connections) that connect Lavrion to Syros, Paros, Naxos, Milos and other islands of the Cyclades. As Kea is really close to Athens, it is ideal for a weekend excursion. The ferry trip from Lavrion to Kythnos lasts 1h and there are at least two daily ferries from Lavrion to Kea (Tzia), operating through the whole year. One is usually planned to depart in early morning, while another itinerary is scheduled for the afternoon. During summer, weekends and official holidays more itineraries are scheduled in order to facilitate the large numbers of Athenians travelling to the island. The connection from Lavrion to Kythnos runs on a daily basis. There are several ferry companies that operate on this route as Karystia Lines, Hellenic Seaways and Seajets. During summer, the ferry itineraries get more frequent. The ferry trip from Lavrion to Kythnos lasts 1:30-2:30h depending on the selected itinerary. Usually, during summer there are two ferries that serve the route from Lavrion to the Cyclades. 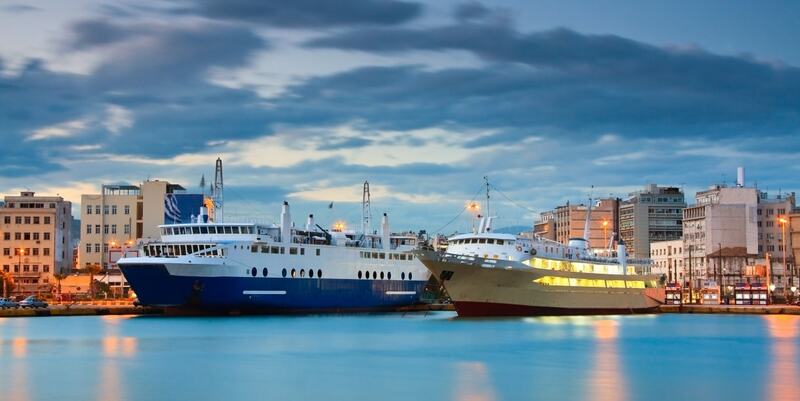 These ferries connect Lavrion to Syros, Paros, Naxos and Milos with 2-3 itineraries per week. The ferries departing from Lavrion to the Cyclades call also on other islands as Kimolos, Folegandros etc. These ferries are very useful for travelers that want to combine the islands of Kythnos with the rest of the Cyclades, upgrading their summer experience with an endless island-hopping in the Greek islands. Taxi: A taxi will normally need about 1 hour and 30 minutes to go from Omonoia/ Syntagma to Lavrion. The typical taxi fare from Athens city centre to the port of Lavrion is 65€ in daytime and 80€ during the night (00:00-05:00). Bus: Athens center is connected to Lavrion by regular coaches that leave from Pedion Areos, in Athens centre. Depending on the traffic, this duration can go up to 3h. Thus we would suggest that if you are on a tight schedule, you may have to look on alternative ways to reach Lavrion. The ticket price of the bus should be between 5-6€. Taxi: A taxi ride from Athens International Airport to Lavrion usually takes about 30 minutes. However, depending on the traffic, you may need an extra 10-20 mins to reach the departure gate in Lavrion. You may find a taxi, just outside the airport. A typical fare from Athens airport to the port of Rafina is 50€ during the daytime and 70€ during the night (00:00-05:00). Bus: There is a coach that connects Athens International Airport to Lavrion port. Buses leave from Athens airport usually every hour and go to Lavrion via Markopoulo. Passengers should change buses in Markopoulo and take the corresponding bus to Lavrion. The ticket price is around 4-5€. Due to the correspondence in Markopoulo, the trip duration can take up to 2 hours.